Q: I have purchased a user license and would like to add a second user to my existing license instead of purchasing a new license key. Is this possible? Enter your current license key into the available text field and press the Validate button. This will bring you to your available upgrade options. 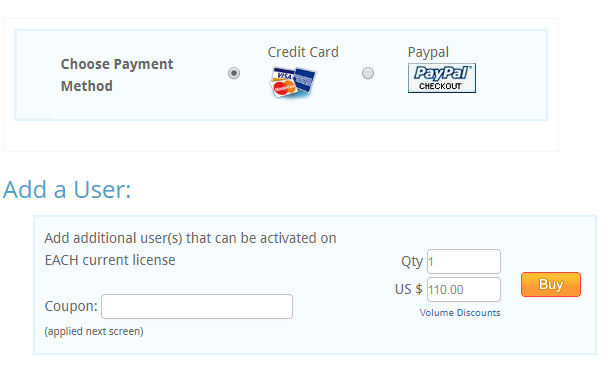 Scroll down to the “Add a user” section, and press “Buy” to proceed with the purchase (See screenshots below). After purchasing, you will receive an email confirming that the user has been added to your license. The other user can now use your existing license key to register PDF Studio. Where can I find my license key for PDF Studio? Where can I purchase PDF Studio?